Rome, September 11. This last week of the General Chapter is a week for listening; there are reports as well as discussions both in the groups and in the plenary assembly. Yesterday morning, Monday, Br. Antonio Belpiede, General Procurator of the Order, presented the draft statutes for the general custodies. In the afternoon, Br. Mark Schenk presented on houses of the Order outside the territory of a circumscription. This morning, Br. Michael Fernandes presented on the guidelines for fraternal collaboration between circumscriptions. These three presentations inspired a full and impassioned discussion, in which many of the capitulars had a chance to speak. A first matter was the statutes that govern the competencies and faculties of the custos in a general custody, that is to say those circumscriptions that depend on the General Minister and have arisen from groupings of individual missions or custodies previously entrusted to individual provinces. 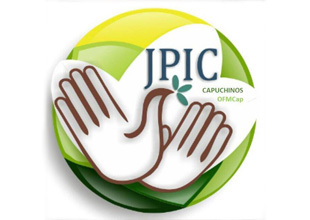 The Office of the General Procurator, together with the Jurist Group of the Order, has prepared draft statutes that aim for an appropriate accompaniment of these Capuchin presences. The presentation of Br. Michael Fernandes on fraternal collaboration also inspired an interesting discussion. Br. Michael emphasized that the composition of the Order has changed much in the last twenty years. 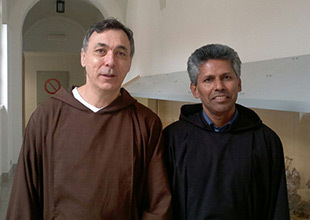 In some areas the number of friars is increasing (Asia and Africa), while in others it remains more or less stable (Latin America and Central and Eastern Europe) or is decreasing (Western Europe and North America). International fraternal collaboration is the response of the Order to these changes. It is a long-term sharing of friars between two or more circumscriptions. These collaborations are supervised and approved by the General Minister and governed by an agreement approved by the General Council. On this topic of fraternal collaboration, Br. Michael shared from the richness of his own experiences in his time on the General Council, including the difficulties that have been encountered. 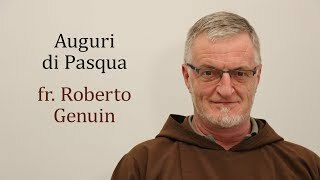 He concluded by describing the basic requirements for the circumscriptions that send friars as well as for those that welcome them, and the keys to success in fraternal collaboration.